The removal of Gilda Radner's name from some branches of the cancer support group started in her memory is a sad sign of the times. 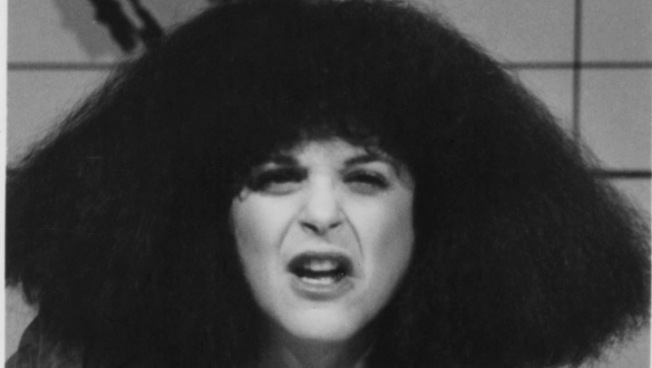 Gilda Radner as Roseanne Roseannadanna. Perhaps the least funny but most memorable moment of Wednesday's "Saturday Night Live Christmas Special" came during a first-season clip of the original cast goofing around while singing "Winter Wonderland." The late 1975 scene proved bittersweet, recalling the youthful, irreverent spirit that propelled the show's launch into pop culture history while reminding us of the two cast members who died far too soon, John Belushi and Gilda Radner. The special arrived amid news that a Wisconsin branch of Gilda's Club – the cancer support group named for Radner, who succumbed to ovarian cancer in 1989 – became the latest to remove her name from the charity. The reason, reports the Wisconsin State Journal, is that the operators believe college-age folks never heard of Radner. Which is a shame, both for her legacy as a comedian and as a symbol in the struggle against cancer. For those who weren't around for the first wave of "SNL" glory days, we’d hope her name might at least raise images of a late-night comedy pioneer who helped pave the way for the later successes of Tina Fey, Amy Poehler and Kristen Wiig, among others. But here's all you really need to know about Gilda Radner: she was damn funny. Radner became one of the breakout stars of the original cast by committing her all to characters odd and seemingly innocent, but with an edge. Her teen-aged nasally nerd, Lisa Loopner, presaged the growth of geek culture (and geek humor). In Emily Litella, Radner gave us a little old lady whose hearing problems ("What's all this about violins on television?") belied her sharp tongue (calling "Weekend Update" anchor Jane Curtain a "b----," long before that word turned up regularly on TV). One of our favorite Radner creations is one of her lesser known: Judy Miller, a floppy moppet of a girl scout who conjures a fantasy world of characters on a TV show put on in her bedroom – offering insight into the vivid imagination and exuberance that made Radner a comic force. Radner died at age 42, less than a decade after leaving "SNL." Her husband, the great comic actor Gene Wilder, helped establish Gilda’s Club in her memory. If Radner were with us today, we’d like to thinking she’d be making us laugh, still the household name she became all those years ago.